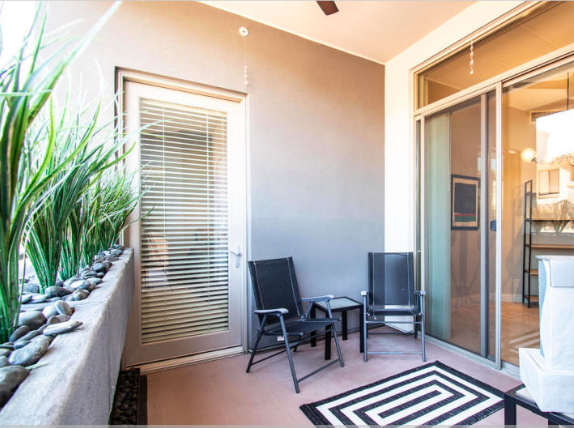 Luxury Condo Living in this 2-Bedroom, 2-Bath unit at The Landmark in Phoenix’s premier Kierland neighborhood bordering Scottsdale. 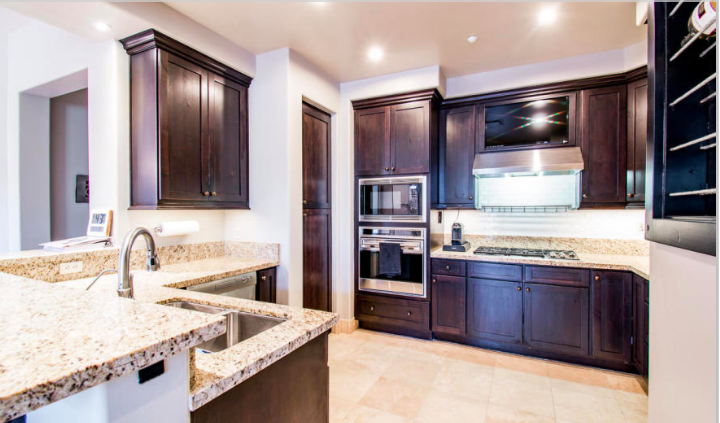 Stainless Wolf appliances, Granite counters, loads of cabinets, counter space & Sub-Zero fridge. 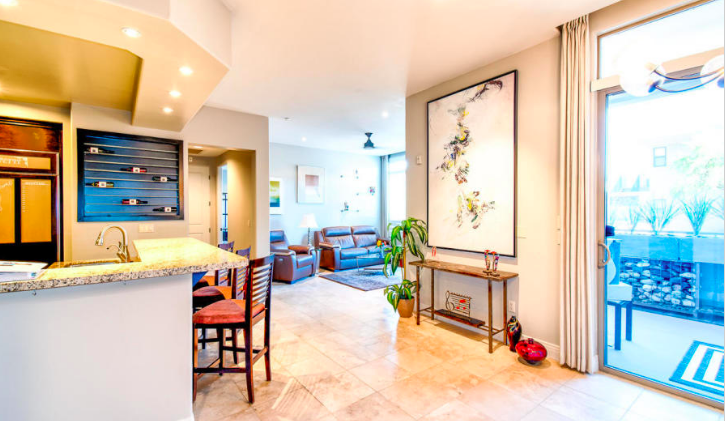 Entry leads to Dining/Entertaining area w/balcony view & Living Room to the left & Hallway to Laundry, Bedroom 2 w/walk-in closet & Large Hall Bath w/oversized tub/shower. Enjoy spending time on the balcony. 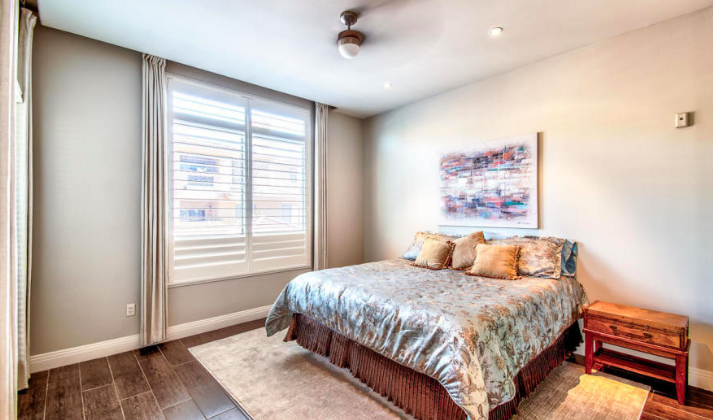 Master Suite includes large walk-in closet & oversized bathroom w/separate tub & shower, Double sinks & granite counters. 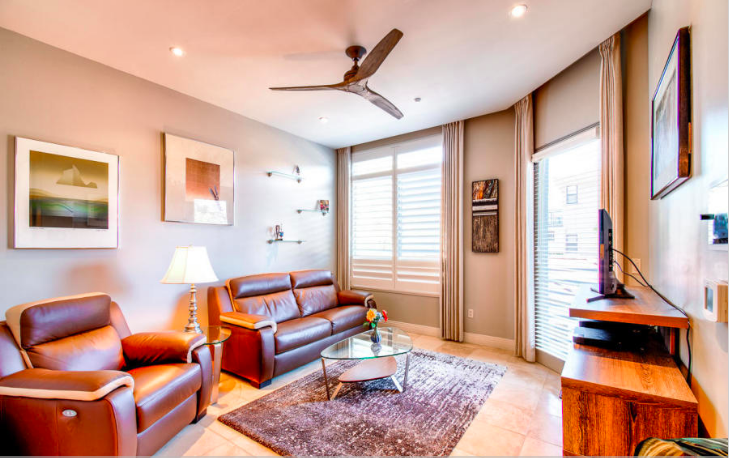 Fans & Shutters, Travertine & Wood Tile Floors. Garage spaces 15&16. You’ll love the amenities: 24/7 guarded gate, Concierge, Resort-style Pool/Spa & entertaining Ramada, BBQ, Clubhouse w/Catering Kitchen, Business Center, Conference Room, Workout Room, Steam Room & Wine Room. Walk to Kierland Commons, Scottsdale Quarter & Westin Kierland Resort.